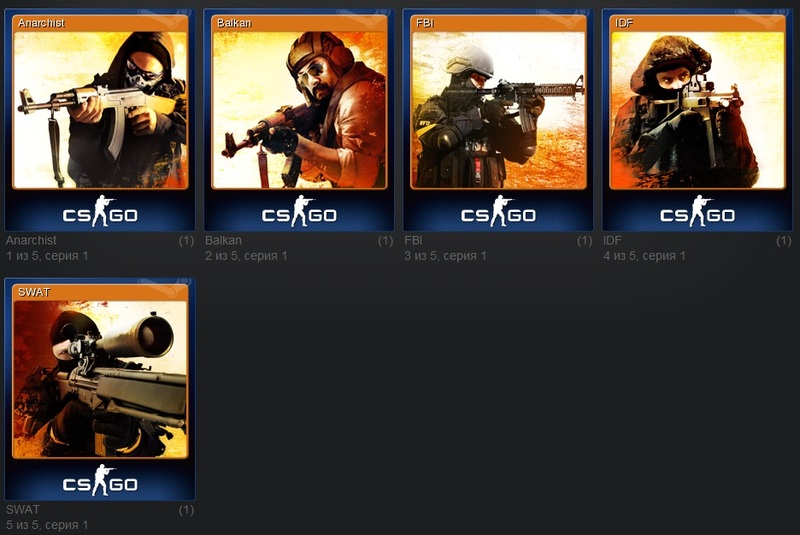 Here you can buy a set of cards from the game Counter-Strike: Global Offensive (CS:GO), after which you will have the opportunity to create an icon from the game. Maximum on the Steam account you can create 5 levels of the icon from one game. Each of the levels of the icon gives 100 experience to raise the level of the account. To create an icon, it is NOT necessary to have a game on your account. You can just buy cards from us. When creating the icon, you will also receive a random profile background from the game, a smiley and a discount coupon. 1. Make inventory open in the privacy settings of the Steam profile. 3. To accept from me the offer of exchange with cards. ATTENTION!!! The exchange will be sent within 24 hours. Average time of dispatch in the daytime (from 10 00 to 23 00) - from 10 minutes to 2 hours. If you have blocked the exchange function, then cards can be sent only when you have a trade.